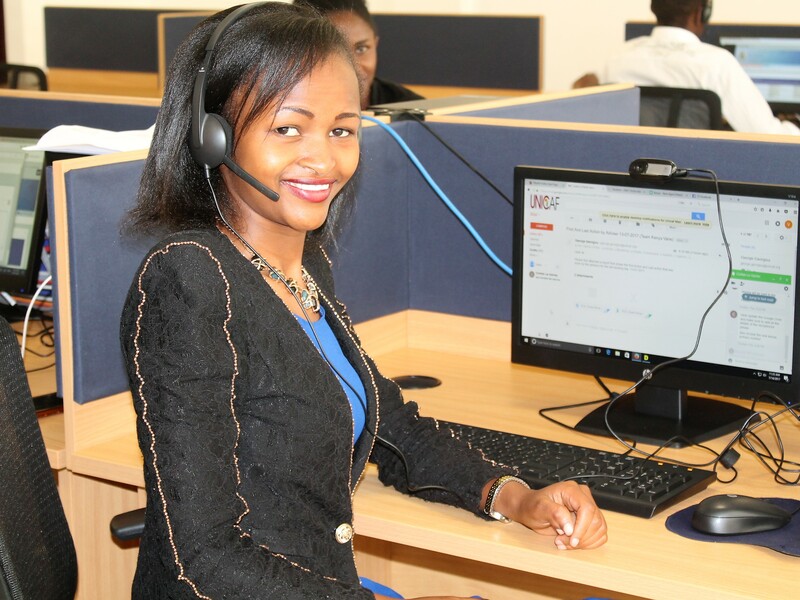 A UNICAF Student Adviser liaises with all necessary entities to provide interested applicants with a positive experience, in the most efficient way and without sacrificing quality of service. In addition to the obvious need for excellent computer, communication and organisational skills I believe this job also requires an attention to detail and good judgement. The most awkward moment for me was when an applicant kept insisting that I give him my personal contact number, every time we talked on the phone about his application. Of course I insisted that we always use the formal communication channels. Other challenging moments have to do with the way applicants treat us. Some are downright rude, some hang up on us, and some even swear. It is also frustrating to go all the way trying to help an applicant only to discover, after they receive the offer letter from the partner university of their choice, that they cannot make the necessary payments, however generous the UNICAF Scholarship they have received to cover the greatest part of tuition fees. But all negative experiences are wiped out from my mind when a successful applicant responds with cries of joy and thanks at learning from me about their success. That’s a magical moment for the applicant, but also for the student adviser!